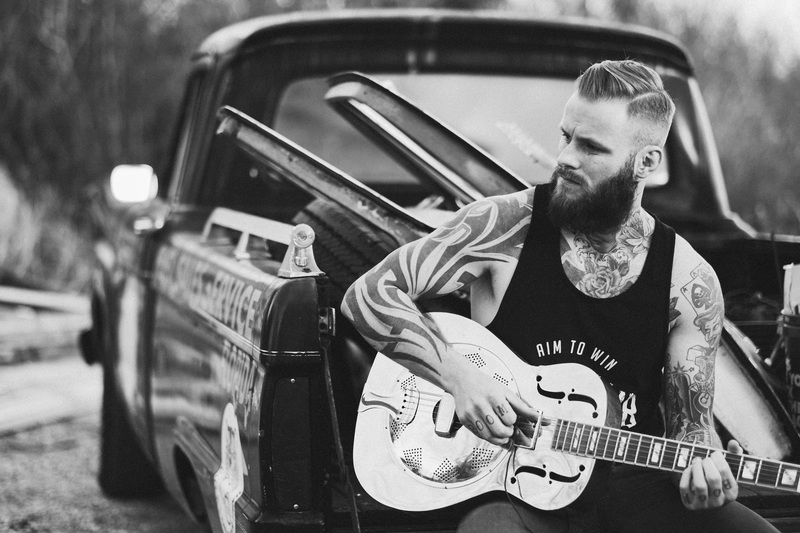 The Kris Barras Band will be hitting the road in September for a UK headline tour. To celebrate this they have revealed the new video for ‘Stitch Me Up’ which captures moments of the band on the road throughout their incredible March tour, earlier this year. The Devon born, Barras is having a whirlwind start to the year. He released the stunning new album ‘The Divine And Dirty’ in March, when he played a headline tour selling out shows across the country and supported Beth Hart on her April-May UK Tour. He joins Supersonic Blues Machine as singer/guitarist alongside the legendary Billy F. Gibbons (ZZ TOP) for their upcoming July European Tour – including their debut headline show at Shepherds Bush Empire, London, plus he has announced his own headline show at The Borderline, London on 20 June, as well as festival appearances at Ramblin’ Man Fair as well as Italy, Poland, Sitzerland and Netherlands this summer. Kris Barras isn’t one to shy away from a challenge. As a former Mixed Martial Artist, the Devon born singer and guitarist has fought in front of 8000 people, lived it up in Las Vegas, dealt with bankruptcy, suffered deep and personal loss, unleashed blues fury on stages across Europe and been voted one of the best 13 Blues Guitarists in the World Right Now by Music Radar. He picked up the guitar and took up martial arts as a child. After playing in bands throughout his teens he became disillusioned. He had toured the east coast of the USA twice and recorded an album in Philadelphia, but struggled to get to the next level. By his early 20s, offers for fights were coming thick and fast. Music took a backseat as he travelled the world to compete in tournaments, winning 14 out of 17 fights and even settling to live in Las Vegas and Thailand. He retired from the cage in 2014, feeling like he had achieved everything that he was going to achieve. It had consumed his life for so long, making so many sacrifices that he felt that it was time to move on. Music, his real love was too strong for him to ignore. Armed with this kind of passion and dedication, The Kris Barras Band are coming out swinging. Stand back – rock has a new hero.